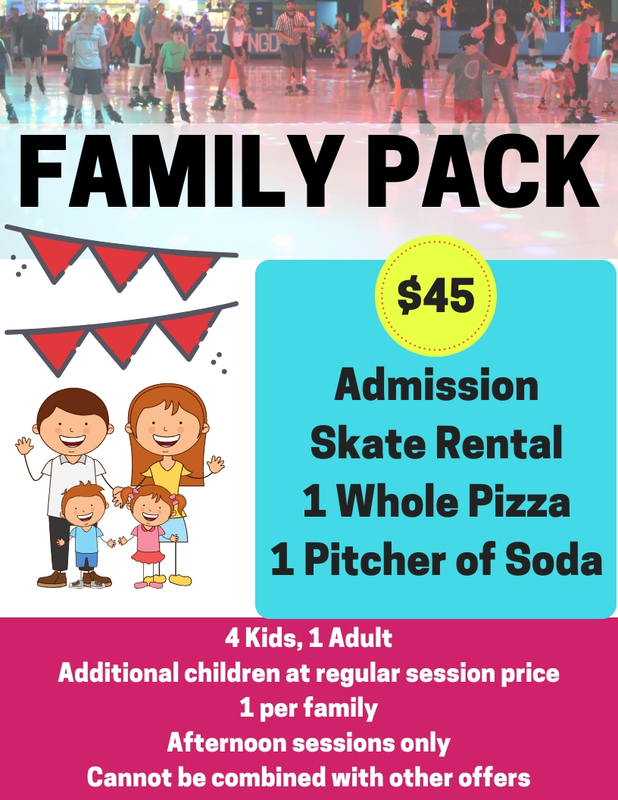 Lights, music and a whole lot of action make Roller Kingdom the best place for birthday parties, family fun, teen nights, scout and school parties, fundraisers, company outings and more. Rollerblading and traditional skating are just the beginning. For even more fun, add Laser tag, games at the arcade, and prizes at our Prize Center. At our snack bar, we offer fun foods including pizza, hot dogs, fried dough, slushies, nachos, popcorn and Pepsi products. On occasion, Roller Kingdom may photograph/videotape or otherwise reproduce the image of our guests for use in our promotional materials without compensation to any person. If you object to having your image or that of your child reproduced, please inform our management upon arrival. YOU GET A CHANCE TO BE THE STAR!